Jake McCoy is an Associate with The Woodmont Company. His focus is on Retail Leasing and Tenant Representation in the Central and South Texas areas. Jake has done work on projects from small strip centers to large tenant anchored centers, and has assisted tenants in expansion as well as relocation. 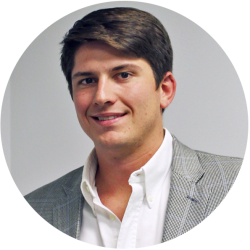 Jake was originally a Brokerage Intern with The Woodmont Company. As an intern, Jake assisted with and managed projects for various brokers in the office. Prior to joining The Woodmont Company, Jake was a business major at the University of Dallas.